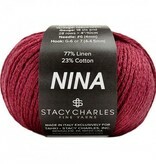 The blend of linen and cotton fibers in the Tahki Nina yarn is perfect for warmer temperatures. Knit or crochet this yarn at a worsted weight gauge and you will be rewarded with a garment or accessory that is perfect to wear for three seasons. 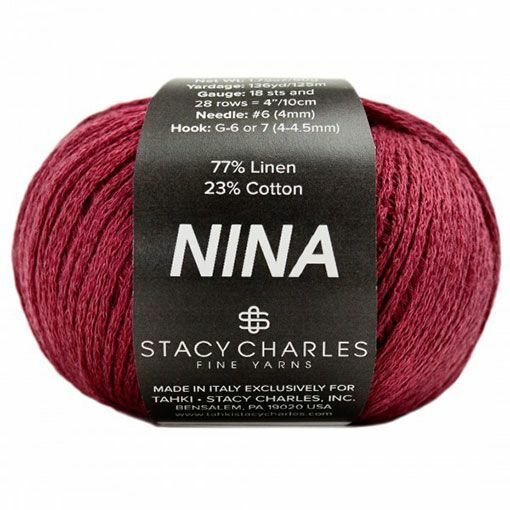 With such a vivid color palette, Nina is a great yarn option for patterns that incorporate color blocking.